Are You Offering These 7 Essential Employee Benefits? With the talent pool as aggressive as it is lately, employers - especially those with small businesses - need to find ways to recruit and retain the skilled workers they’re looking for. One of the easiest ways to attract and keep the best and brightest workers is to offer a robust benefits package. 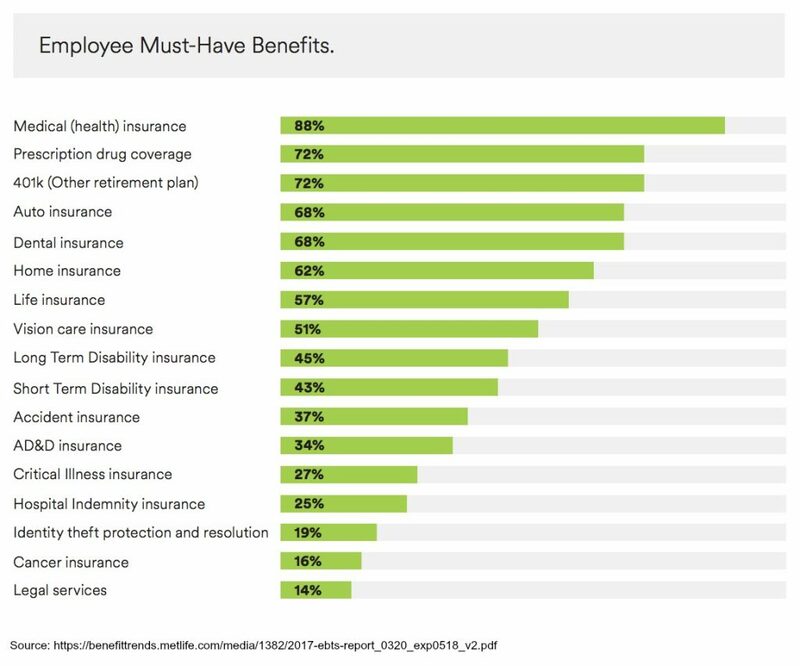 Standard benefits are appreciated by employees, but more workers are expecting their employers, or potential employers, to keep up with current trends and proactively provide additional perks to meet their changing needs. A recent survey done by Glassdoor found that more than half (57%) of people said benefits and perks are among their top considerations before accepting a job. Additionally, four out of five workers said they would prefer to be given new or increased benefits over a raise in pay. It’s clear that competitive benefits outweigh competitive pay when it comes to attracting and retaining quality employees. And with the rapidly changing trends, it’s important to keep up with what employees are looking for. Are you on par with the market or are you falling short? Here is our list of 7 essential employee benefits, aimed at keeping today’s employees satisfied and loyal. Health Insurance: The number one most desirable benefit you can offer employees is a health insurance plan. The high out-of-pocket costs of health care and the uncertainty surrounding the direction in which the healthcare industry is going makes this a top priority for job seekers. Vacation or Paid Time Off: Workers are less likely to take time off if it’s unpaid, which leads to overworked, unhappy, and unproductive employees. Paid vacation time is the second most attractive benefit to potential employees, and key in keeping current employees happy and productive. 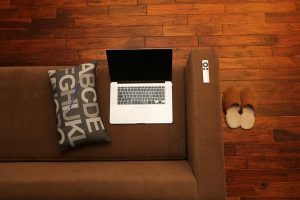 Flex Time or Remote Work: 75% of employees said that they are more likely to take a job that offers them the ability to shift workday hours as necessary, and 64% said that they are more likely to take a job that offers them the ability to work remotely when needed. Employees want to have more flexibility in their work schedule so they can get the most out of their workdays while still maintaining an adequate work-life balance. Flexible schedule benefits that are most in demand include flex time, flex days and work-at-home options. Supplemental Benefits: Employees are looking for more peace of mind, and supplemental benefits are a great way to ease some of their concerns. Supplemental benefits plans provide additional protection than what is offered by primary insurance for health and other life events. These benefits can help your employees with extra costs incurred due to an unexpected medical event, such as deductibles or copays, transportation to and from your medical service provider, as well as lodging and meals, and just help relieve the stress and worry that comes with such an event. Wellbeing Programs: According to the annual benefit trends study by MetLife, 49% of employees want their employers to offer wellbeing programs that reward healthy behavior. However, only 8% of employers currently offer them. This is a huge opportunity to bring something to the table that almost no one else has. Financial Planning: Employees that are worried about personal finance problems are less productive at work, and are often actively looking for new employment opportunities. Implementing a financial planning program can help retain and motivate employees. 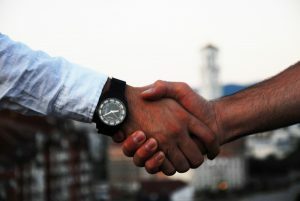 Over 50% of employees said that they are more likely to stay loyal to their current employer when financial programs are offered to them, according to MetLife’s survey. Customizable Plans: Employees are looking for employers that offer a wide variety of non-medical benefits that they can pick and choose from, and they’re willing to bear more of the cost of their own benefits in order to have more choices that meet their needs. Legal services, Identity Theft Protection, and both Short and Long Term Disability Insurance are among the list of ideal benefits. With so many benefit options to choose from, it can be difficult and confusing for employers to narrow down their offerings and manage them. A great way to take the guess work out of managing benefits is by employing a PEO (Professional Employer Organization) firm under which the employer can outsource employee benefits tasks and ensure requirements are met.